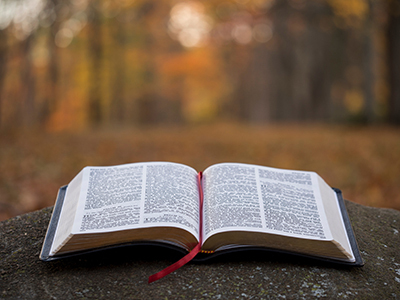 Graduates will have gained skills for in-depth study of the Old and New Testaments, including facility in the biblical languages, interpretation, and application. Graduates will have demonstrated a critical awareness and life application of their understanding of Christian theology, ethics, and history. Graduates will have learned to engage lostness through evangelism, church planting, and cross-cultural missions. Graduates will have grown in skills of disciple-making and teaching. Graduates will have gained skills for shepherding God’s people. Graduates will have gained a better understanding of self and what it takes to counsel others. Graduates will have integrated knowledge and experience through ministry practice. Graduates will have grown in Christlikeness. Typical completion time is a minimum of 3-4 years full-time; maximum allowable time is 10 years. The Master of Divinity (MDiv) is an 85 credit hour professional graduate degree designed to equip pastors and other Christian ministers with the knowledge, skills, and attitudes necessary for their calling. It is the standard theological degree obtained by clergy across North America. This degree surveys all major areas of biblical, theological, historical, and practical disciplines related to Christian ministry. Elective courses addressing a variety of subjects complement the core curriculum and equip students for ministry specialization. The prerequisite for this degree is a BA degree, or its equivalent, from an accredited college or university. A total of 85 credit hours is required for the completion of the degree. At least 30 credit hours must be completed on campus to provide regular and substantive student-faculty interaction to facilitate achieving the degree outcomes. **Free electives may include 8 credit hours of optional internship experience beyond the 4 hours of required Capstone Ministry I & II, depending on availability of internship opportunities. Additionally, qualifying students may complete a 4 credit hour Capstone Thesis. The Canadian Southern Baptist Seminary and College is recognized by the Province of Alberta, and the Master of Divinity (MDiv) degree is accredited by the Association of Theological Schools (ATS) and the Association for Biblical Higher Education (ABHE). This degree is a Designated Learning Program and eligible to receive foreign nationals on a study permit under the DLI number 019256741082.